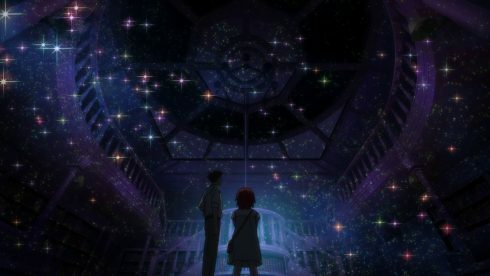 And yet again we have come to that time where we look over the past year’s offerings and compile a list of what I felt were my favorite series that aired. Perhaps doing so could be the beginning for others to think about the same thing and/or catalyst some discussion as well! The result you will see below. 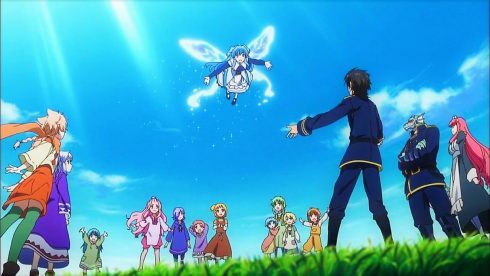 For me 2017 was a bit of a weaker year in comparison with previous ones – of course there were plenty of series to enjoy, but the “top notch” series for me were fewer than previous years, even though I did have the opportunity to see a fair number of manga series I really, really enjoy made into downright excellent anime adaptations. Both Winter and Spring seemed the strong seasons of the year for me, with Summer being the weakest. Fall as a season was the one I found myself most anticipating series wise, but a fair number of them, while good, did not quite deliver to the level I was expecting. As I have mentioned in the past, please do note that first and foremost these series are primarily a list of what I enjoyed the most. They reflect my taste more than anything else, and while visual or audial or storywriting or acting based comments or such have a place in it they are not intended to be an “objective evaluation” of the elements that make up the art medium itself. I am not an “art critic” nor a “specialist”, nor should readers expect such highly trained or cultivated viewpoints from me. I am a fan writing to other fans and sharing my experiences and tastes first and foremost. Anyway – on to the listings! 10) Demi-chan wa Kataritai (Winter): Some of the really successful series for me in the past year were adaptations of manga I already knew that I enjoyed quite a bit, and this series is a good example of that pattern. There were various criticisms regarding the change of art styles from the source manga to the anime as it was airing, which I could understand, but for me it was not a big issue, especially in the light of what I thought was very effective voice acting for all the characters of the series (I was especially fond of the character of the snow woman Yuuki, but really – most every character in the story was endearing). This was a series that I looked forward too consistently and also found has had excellent rewatchability as the months have gone by. 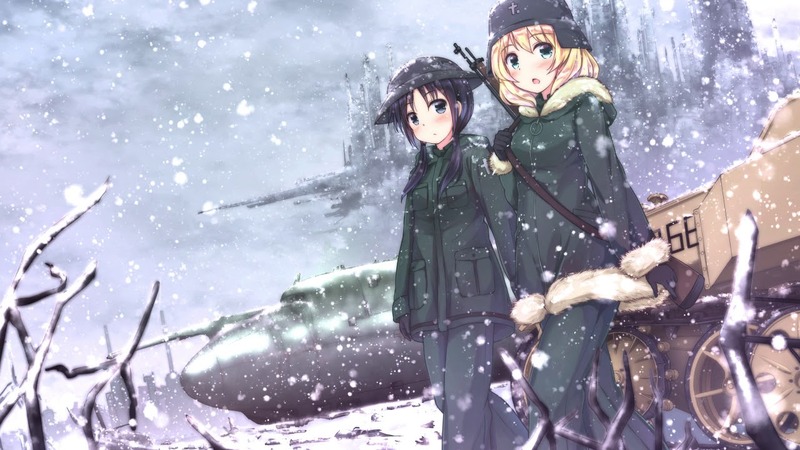 8) Shoujo Shuumatsu Ryokou (Fall): Another entry for the year of a manga series I already knew about and greatly enjoyed before the adaptation was announced. And in my opinion studio White Fox both was an ideal choice for adapting this series AND pulled it off brilliantly. The source material (a manga) is one that relies on the visuals to create a very strong post-apocalyptic atmosphere somewhat similar to Yokohama Kaidashi Kiko, yet not all shot through with that series’ unique combination of “peacefulness” and “wistfulness”. If I were to compare it Shoujo Shuumatsu Ryokou might be characterized by a “thought provoking, grey quietness” and “desolate, lonely, slightly ‘alien’ solitude”. Definitely not everyone’s cup of tea, but I found myself anticipating every episode and savoring it week in and week out. 7) Shouwa Genriku Rakugo Shinju (Winter): Some may be surprised at how relatively “low” in this top ten ranking this masterpiece of a series is placed, but make no mistake – season two was indeed masterfully done. More than that, at times I would even say it bordered on the incredibly good. Perhaps in terms of technical and artistic excellence it stands in a category all its own for this year. But the thing is that for me I was one of those rare ducks who found that they enjoyed season one more than season two. And no – I am not quite sure why that is so. Perhaps it is just one of those matters of personal taste or the like? But whatever the reason season two did not engage me as much. In that light the fact that it should still place so highly is a testament to just how blastedly good it was, though! 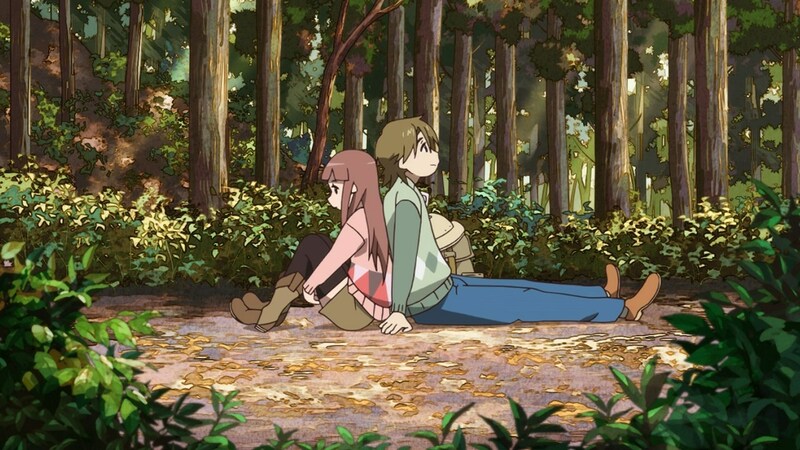 6) Uchouten Kazoku s2 (Spring): Undoubtedly the absolute biggest surprise of the year for me, this series literally was one of those “come out of nowhere” series. The first season somehow never really “clicked” for me, no matter how many times I tried to watch it, so I went in with little to no anticipation or expectations. I found myself surprised beyond measure … was this really the same series that so consistently “stiffarmed” me and eluded any sense of connection to it? Regardless as I was drawn in more and more I found myself becoming used to the style of its presentation and narrative, and even was able to go back to season one and watch it in full. Season two still remains the more enjoyable for me, but this series snuck up and ambushed me to be sure, and I am grateful for the fact. 5) Mahoutsukai no Yome: Hoshi Maku Hito OVAs (Summer): To be fair the OVAs began airing last year, but they finished up this year, and each and every one of them was positively … a delight. And on most every front. I am a long time reader and big fan of the manga source for the franchise overall, and was also greatly anticipating the currently airing two-cour Mahoutsukai no Yome series (which is really, really good overall while having some small adaptation choices I do not feel work very well for me), and these OVAs were a near perfect prequel of sorts, enlarging and enriching on the world setting and story as a whole. It would be hard to find better examples of series that so lovingly led in to a series than these OVAs were able to accomplish. 4) Tsuki ga Kirei (Spring): What a curious and unexpected delight it was this year to have two really excellent “shoujo’ish” type of series air, both of which were anime-orginals AND incredibly authentic and excellent in so many ways too. And even both of them dealing with different periods of one’s life. 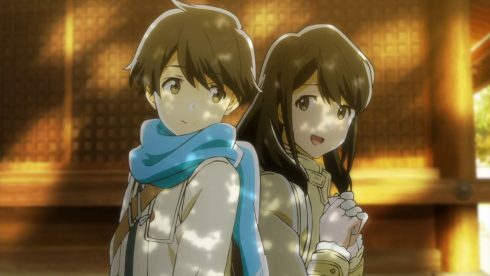 Tsuki ga Kirei was a series focusing on the Middle School years, and I most everything about it was simplicity in the best sense of the word – straightforward, uncomplicated, and convincing. The immersion factor for this series was really, really strong; often episodes would end and I would feel as if I had suddenly “come up for air”. The narrative and the characters were really engaging – I really came to be concerned about and wrapped up in what was transpiring onscreen, and it was neither too heavy, or too overbearing. It did not feel like it wasted what time it had either. Perhaps in that sense it was the most “maximum words, minimum content” – laced series of the year? 3) Just Because! 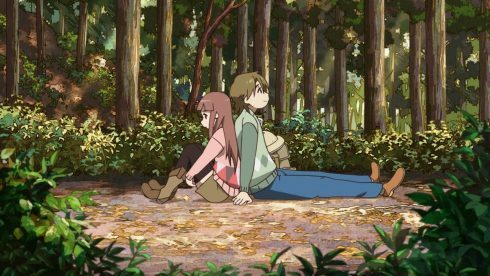 (Fall): One of the most interesting things about this series was how it was heavily focused on the theme of romance as one of the elements driving the story as opposed to its main thrust. 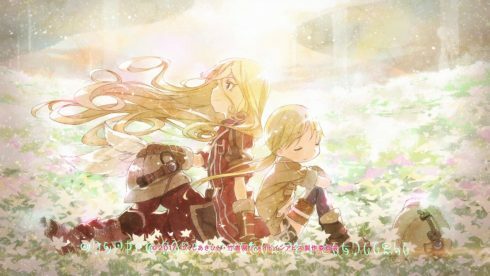 The main thrust of the series itself seems to be rather the melancholic quality of the passage from the last years of childhood and the first years of adulthood carries (i.e. the last year of high school), and it conveys this remarkably well. In many ways it came across to me as a “minimalist” aesthetic’d series.This series was one I was mildly anticipating, but I did not expect it either to draw me in to the degree it did or to take the method of presentation it opted for – and, just like Tsuki ga Kirei, they NAILED the ending in my opinion. I have a feeling that this was a series the very much struck a very close and personal chord in some of my tastes and likes, and perhaps is one of the best examples of how this list is mainly a listing of personal enjoyments and reactions. This year the top four slots for me worked themselves out in a slightly different way. 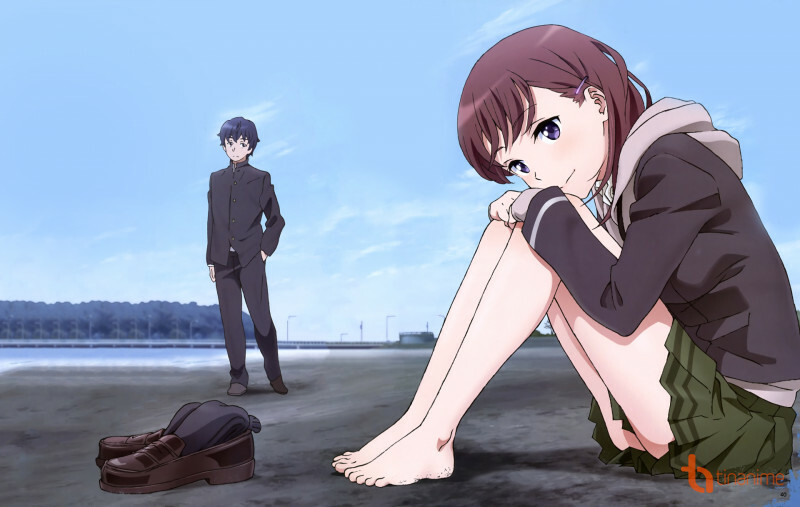 In previous years, the numbers three and four slots were often for me what I considered to be the best anime of the year in terms of approaching some kind of “semi-objective evaluation”. Maybe one could also say they were what I felt to be the most “important” or the most “significant” series that aired. However, they were often not the ones I loved the most. To that category often the last two series in the top ten served as examples – they were the series that I often most eagerly anticipated on a weekly basis, sometimes even counting the days before the next episode came out. They were also often masterful adaptations of manga I had read before the adaptations aired and greatly enjoyed. 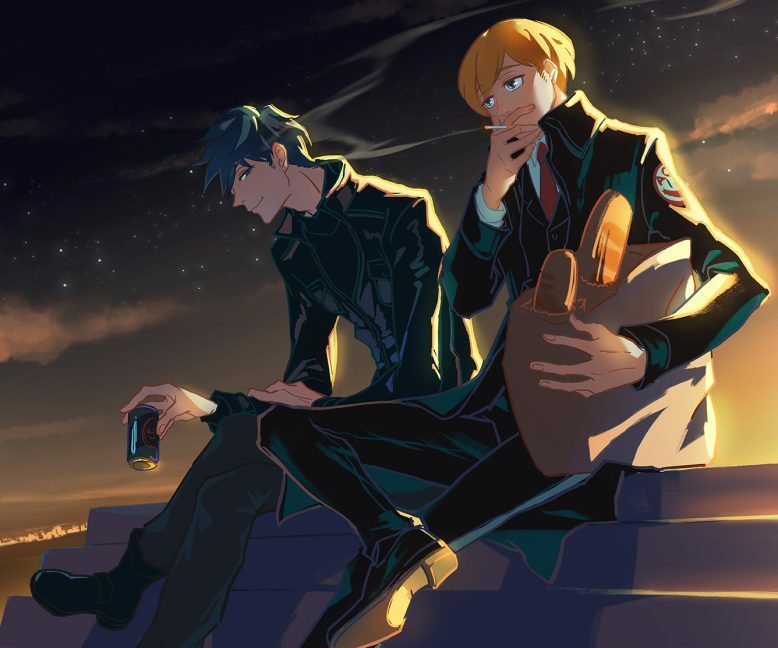 This year, however, the series that I found myself enjoying the most despite it’s flaws obtained the number two slot, while the number one slot was … a nearly breathtakingly magnificent adaptation of a source manga still ongoing and which I greatly enjoy – and for which a second season has been announced already next year! 2) Shuumatsu Nani Shitemasu ka? (Spring): Of all the series this adaptation was probably the one that “got under my skin” the most. It is based on a light novel series, and the setting, the world building, the characters and the story are all really, really … interesting. Almost from the get go, from the very first moments of the episode proper to the moments in the episode when the song “Scarborough Fair” played on the screen I found myself having burst into tears twice at how moving and lovely everything was, yanked into the story and completely held fast in it’s embrace right up to the final episode some months later. I can’t tell you how completely and utterly this series clicked with me and how much I anticipated its next episode every week – it inspired me to read the novels (there are 5 of them), which turned out to also be quite enjoyable. If it were not for the sheer brilliance and even magnificence of the adaptation quality of the number one slot this year this would have easily taken the crown. 1) Made in Abyss (Summer): For those who have been chatting with me over the past year or more this should come as no surprise. This was without a doubt the series I anticipated the most in the entire year. And most everything about it was … brilliant, plain and simple. A multitude of kudos to the staff and studio of Kinema Citrus overall with this series’ adaptation. They did a stupendous work in so many ways, and it was a delight to see so much care and attention given to it. This series is a manga I greatly enjoy and eagerly anticipate, and to have a series like that receive a “worthy”, and perhaps even superb and more than worthy adaptation is frankly a delight. Both of the series in the number one and two slots had a few curious common characteristics. They both had superb PVs before the series aired, they both had near-incredible OST’s (I have the official soundtracks for both, in fact), and yet for both the OP and ED were kinda “only okay” for my tastes, though they were not unfitting, necessarily. They also both had moments which tore me apart inside – the background and conclusion to the Nanachi/Mitty storyline in episode 13 left me raw for hours afterwards. Like Mushi-shi Zoku from 2014, Akatsuki no Yona from 2015 and Flying Witch in 2016, Made in Abyss takes the yearly crown from me for 2017. 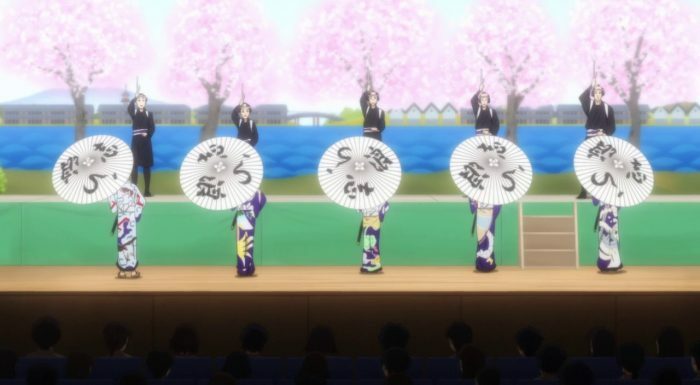 I should also add some series that for me qualified for the Honorable Mentions category, of which there are quite a few this year: Kabukibu (talk about “the little series that could”!) 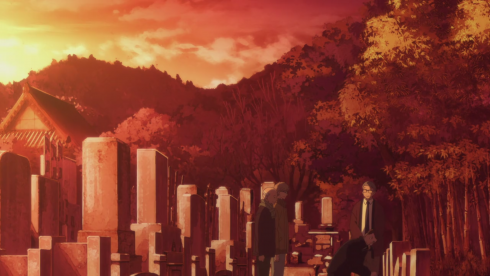 and ACCA 13-ku Kansatsu-ka were both superb, but similarly they were both not geared to a broad audience and did not resonate with a fair number of viewers, which was unfortunate but in retrospect not unsurprising. One curious example of a series that was able to become successful while being produced on a less-than-a shoestring budget was the past winter’s Kemono Friends, and this, in my opinion, was largely due to effective storywriting. This year also had the second seasons of a few series (once again these are all manga adaptations) were quite good: Himouto Umaru-chan R, New Game!! and Kekkai Sensen & Beyond all received excellent adaptations, I thought. On a personal level I also greatly enjoyed the series Princess Principal and Isekai Shokoudou as well. Another manga adaptation I was pleasantly surprised by was Kobayashi-san chi no Maid Dragon. It was unexpectedly able to preserve the best aspects of the source material and convey them pretty well – Shakespeare it definitely is NOT, but comparatively for what it was I thought it was … pretty well done. I also have a favorite movie from the year as well: the wonderful In This Corner of the World. As far as OVAs, for me a special nod goes to the Dragon Dentist OVAs. 2017 was overall a fairly average year overall for the series that aired, in my opinion. 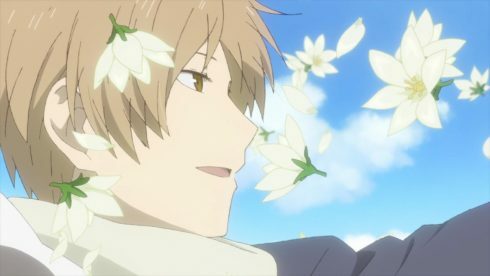 My list of Best Male Leads: Jean from ACCA 13-ku Kansatsu-ka, Natsume from Natsume’s Book of Friends s6 and Reg from Made in Abyss. 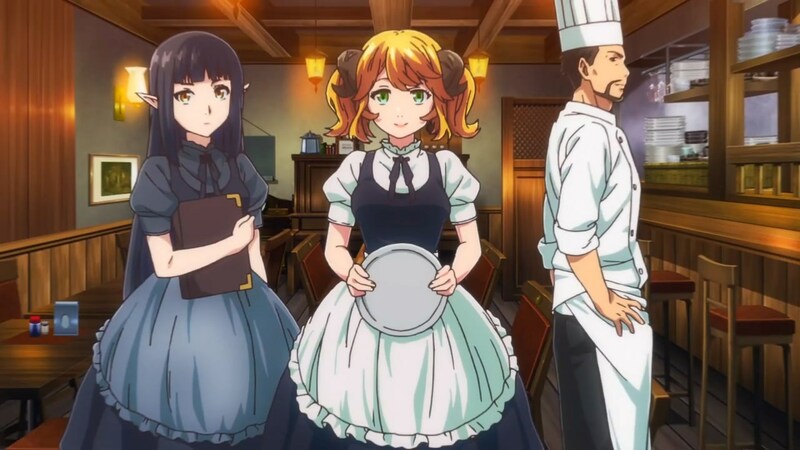 Some of my list of Best Female Leads go to Chise from the Mahoutsukai no Yome OVAs, Chtolly from Shuumatsu Nani Shitemasu ka? and Suzu from the movie In This Corner of the World. Finally some of my votes for Best Supporting Roles go to: Nanachi from Made in Abyss, Chise from Princess Principal (no, I am totally not biased here XD) and finally the last place was a tie between Kaisai from Uchouten Kazoku s2 and Kanna from Kobayashi-san chi no Maid Dragon. My votes for Best Animation go to: the Mahoutsukai no Yome OVAs, Shouwa Genriku Rakugo Shinju and Made in Abyss. While my votes for Best Soundtrack goes to: Shuumatsu Nani Shitemasu ka?, Made in Abyss (yes, it is taking away all the awards this year), and Princess Principal. Some of my Favorite OPs: “Go” by Bump of Chicken, from Granblue Fantasy; “Ugoku, ugoku” by Inori Minase and Yurika Kubo, from Shoujo Shuumatsu Ryokou; “Imakoko” by Toyama Nao, from Tsuki ga Kirei. 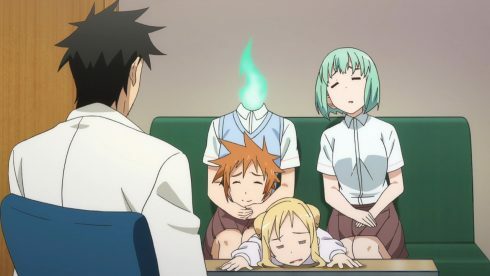 Some of my Favorite EDs: “Chant” by toi toy toi, from Alice to Zouroku; “Fairy Tale” by Phantasia no Sangatsu, from Demi-chan wa Kataritai; and “Ishukan Communication” by Choro-gonzu from Kobayashi-san chi no Maid Dragon (talk about a ridiculously silly and catchy tune that perfectly illustrates a series).